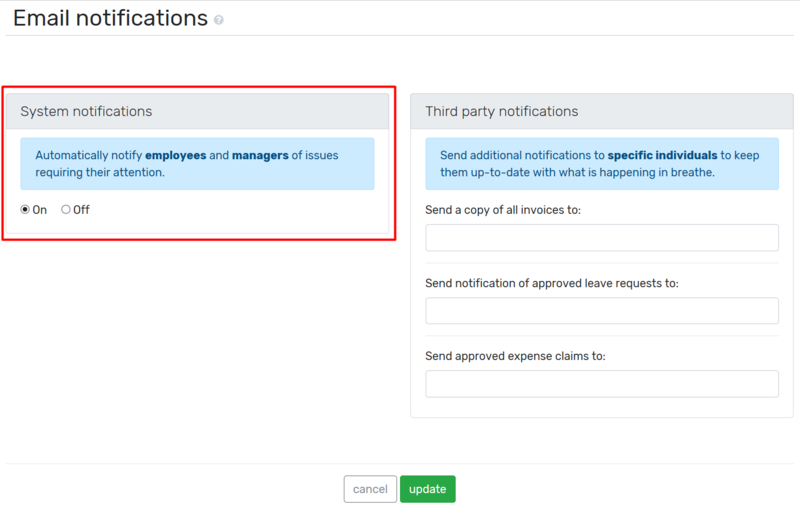 Once you have worked your way through the configuration check list, the last step is to send the welcome emails to your employees. When you've got breathe set up and you're ready to roll it out to your employees, you can send them a welcome email that invites them to get started with the system. You can send this out either as a batch email, or individually to each employee. It will provide the employee with the steps to log into their breathe account. From this email they can click the link and set themselves a password. We recommend book marking the log-in page so that employees can access breathe easily at all times. In a welcome email you will find a URL unique to your company, which your employees can use to log in with, however you can still log in via our website should you need to. Please note: This link can only be used ONCE. If you delete the email or don't set your password straight away, the HR user will need to send a new welcome email. How can I send the welcome email? You can send the welcome email via an employees profile page. You can also send the welcome emails in bulk via your set-up page or from your HR dashboard. 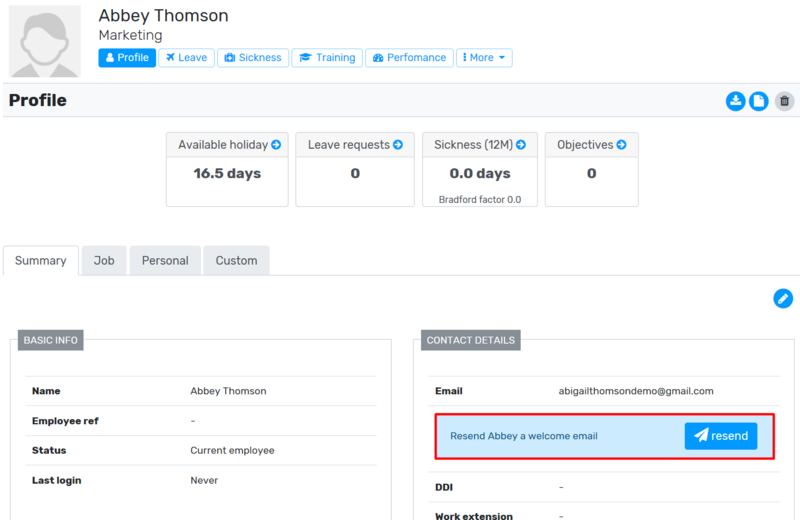 Top tip: If the welcome email button has disappeared from the employees profile, this means they have successfully logged into their account. Do you have email notifications switched on? 2. Has the employee already logged in? 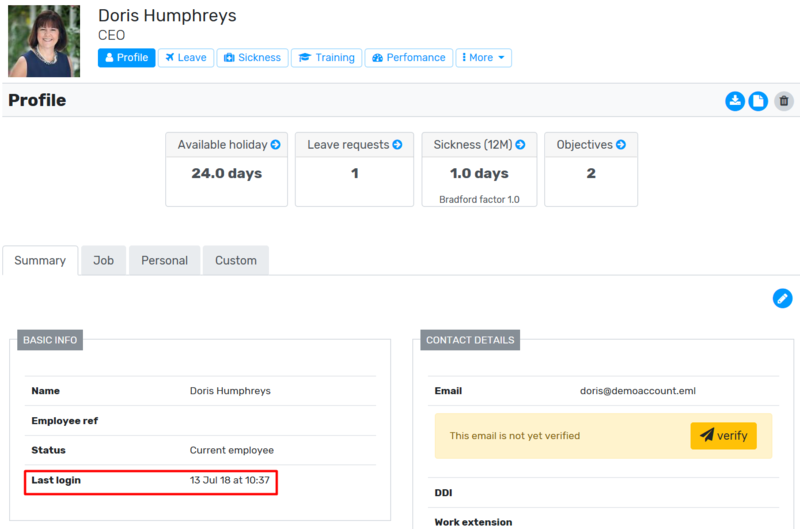 If the employee has already logged in to breathe previously then you will no longer have the option to send them a welcome email. We hope this helps you with getting the breathe system rolled out to your employees! Please do get in touch if you have any questions.